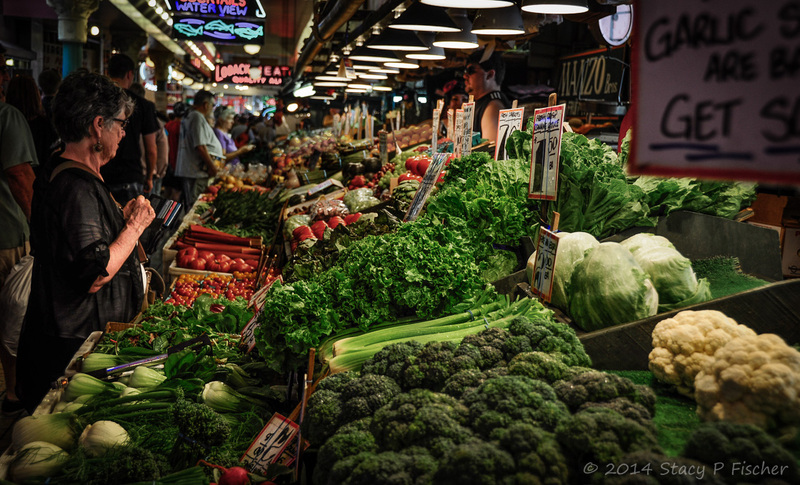 An explosion of color and wonderful scents abound in Pike Place Market, Seattle’s original farmer’s market established in 1907. Deep green broccoli; bright orange and yellow tomatoes; yellow, red, and orange peppers; creamy white cauliflower; vegetables the names of which I didn’t even know; orange and white Dungeness crabs. A feast for the senses. Unfortunately, I don’t have the “cooking” gene — I have the I-love-to-set-the-pretty-table gene (which makes sense, given my love of visual design) — so I was content to simply enjoy the photographic opportunities all these colors and textures presented! 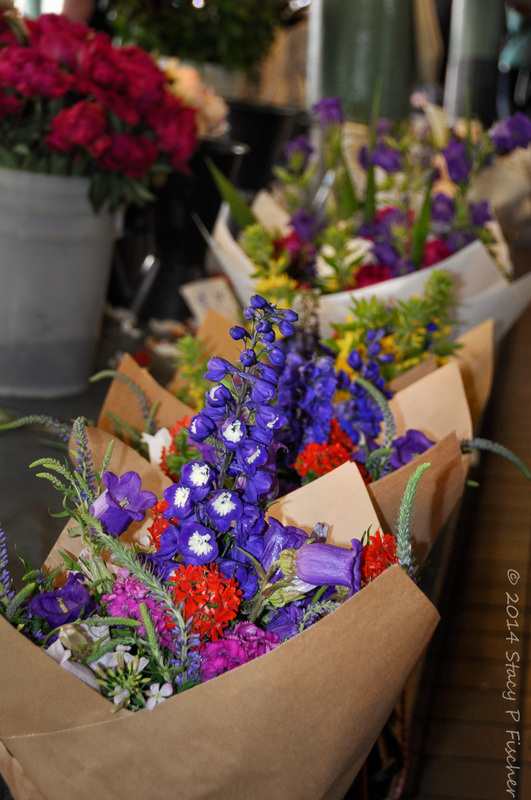 And in a nod to setting a pretty table, the fresh flowers at the Market were exquisite! 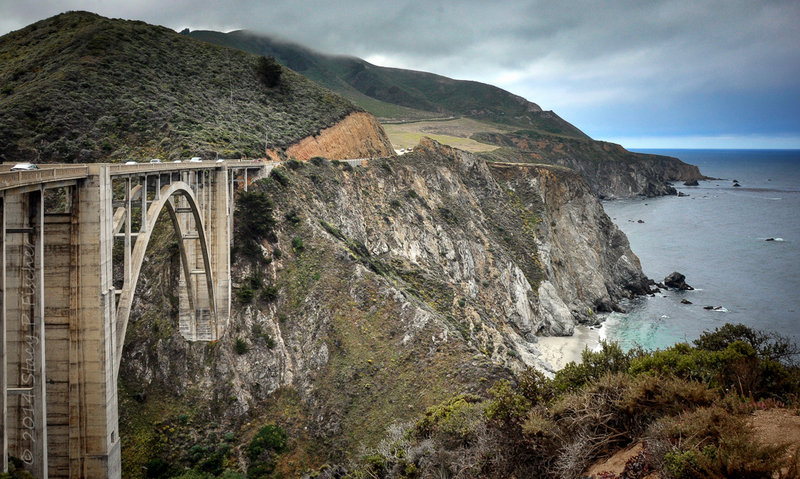 Interested in seeing what post-processing can do for a photo? Visit After-Before Friday Week 4 to see a video highlighting the steps in Lightroom that transformed the Dungeness crab photo from “yikes” to final image. 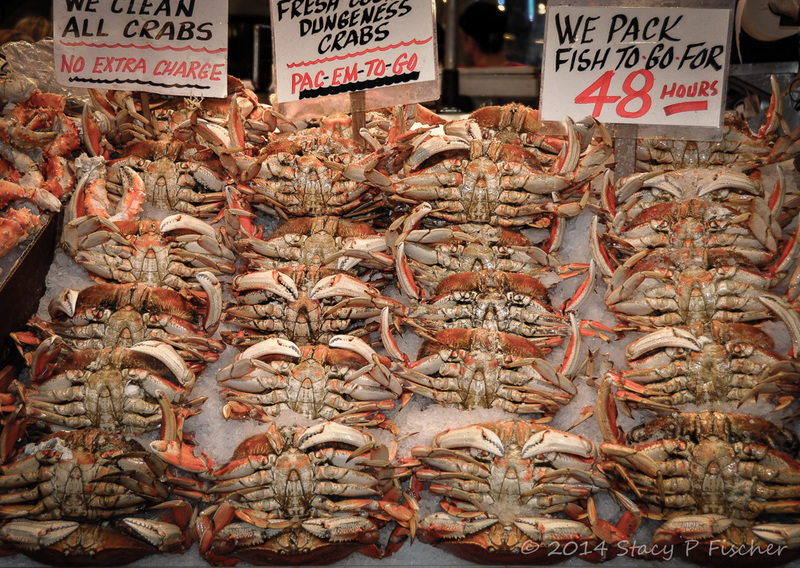 This entry was posted in Seattle and tagged crab, farmers markets, markets, photography, produce, Seattle, vegetables. Bookmark the permalink. Hi, Victoria! It was my first time and I could have spent days and days there. Truly, the colors, the people, the sights, the smells — even including the fish 🙂 — were phenomenal. Someday, I’d definitely like to go back. One of my favorite places to visit!